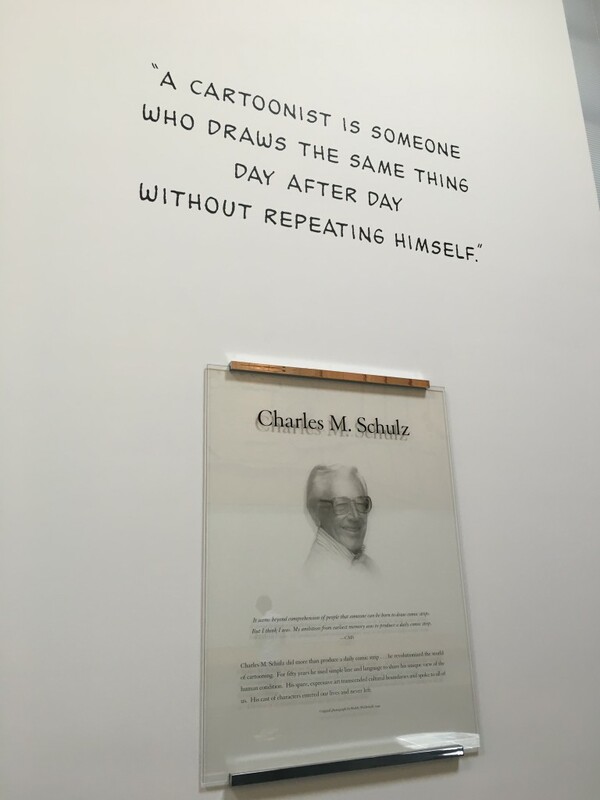 I had the opportunity to visit the Charles M. Schulz Museum today! In lieu of a proper comic, here’s a doodle I drew in the museum sketchbook (after some coercion by family members). Part of the visit was a 45-minute long documentary about Charles Schulz’s life — a really fascinating person and great cartoonist, something I (somehow) hadn’t thought about while reading Peanuts. He’s that good, I guess: Peanuts was always about the characters and what was happening, and never about how clever or talented I thought the author was. I definitely took the strip for granted as a kid. After seeing that quote in the second photo I’m trying so hard not to imagine it as a dig at Jim Davis… I’m sorry. 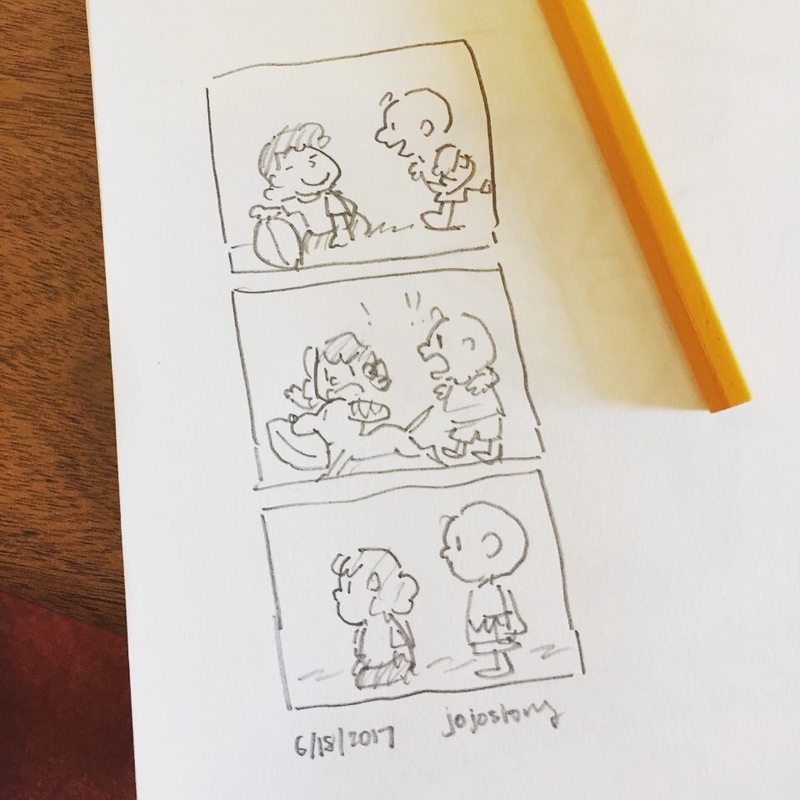 Peanuts is a good comic, and I like yours, too! There’s a surprising amount of good Peanuts comics that weren’t drawn by Schulz, too, which I guess means he did a great job of creating something distinctive that many people can understand and relate to. Oh, thank you!! Yes, he definitely created something incredibly iconic and relatable. Definitely someone I looked forward to before and look forward to even more now!